This past Saturday, we had our first snowfall of the winter season! For the Texans, it was quite a sight to see everything covered in white while I'm sure for the Marylanders it was just another day... We decided to head out to Brookside Gardens in order to check out their garden of lights! A little treat before we get into finals mode. It was quite a sight to see as the colorful lights were juxtaposed next to the white snow. Definitely a place to go to again next year! 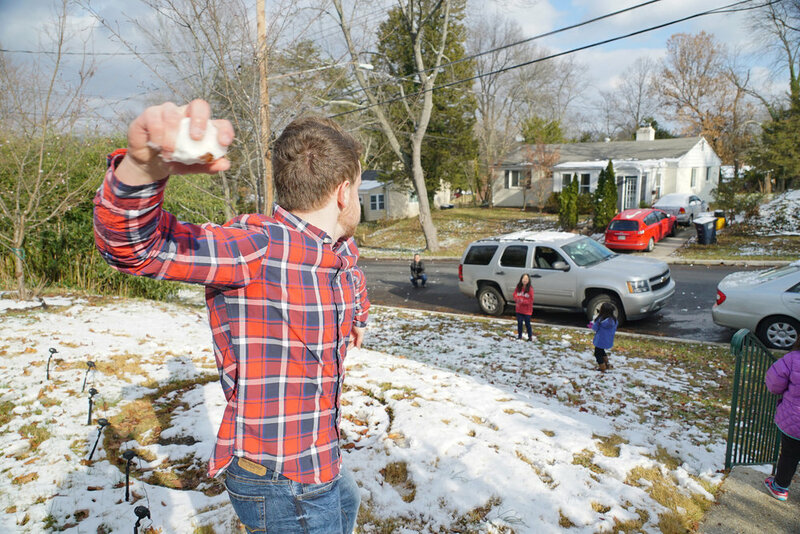 Here are also some pictures of the guys having fun with the next day's leftover snow. Was all out war!